We’ll fly to sunny Orlando where our overnight accommodations will be on-site at Disney’s All Star Sports Resort. 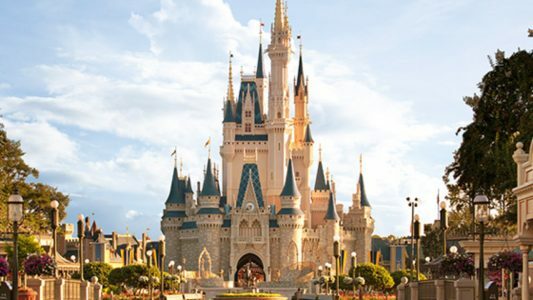 We’ll enjoy a day at each of the following Disney Theme Parks: Magic Kingdom, Animal Kingdom, Hollywood Studios and Epcot Center. We’ll also have an “extra” day to relax at our resort, visit Disney’s Quest Indoor Interactive Theme Park, Disney’s Typhoon Lagoon Water Park or Downtown Disney. On your “extra” day you can choose visit Universal’s Islands of Adventure Theme Park for an additional $195. This Park has cutting edge rides, shows and interactive attractions including “The Wizarding World of Harry Potter”, “The Lost Continent”, “Seuss Landing” and “Jurassic Park”. A $500 deposit is REQUIRED by July 15, 2018 to reserve a spot. Optional trip cancellation insurance is available starting at $235/person. All breakfasts, all evening meals and airfare are included. Airline and motor coach transportation. Considerable walking on multiple days.